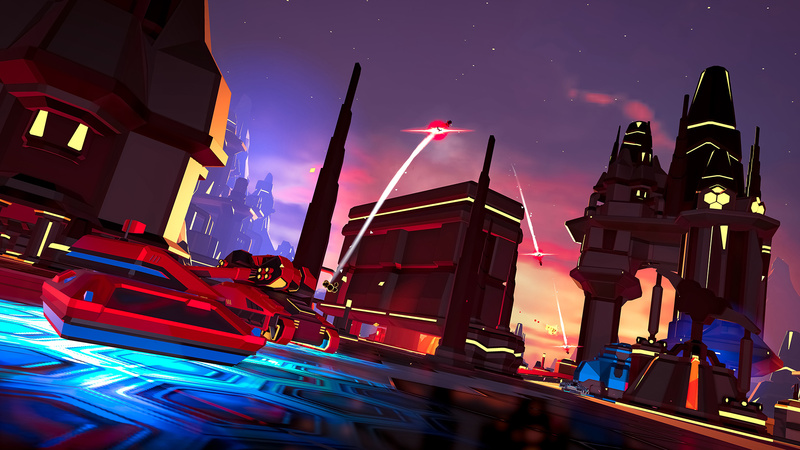 Publisher Rebellion has revealed that its 1980s arcade game reboot Battlezone Gold Edition will fly onto Nintendo Switch on 8th November. 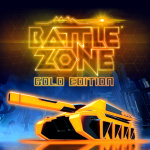 Battlezone Gold Edition throws you into the cockpit of the most advanced weapon ever built - the Cobra tank. 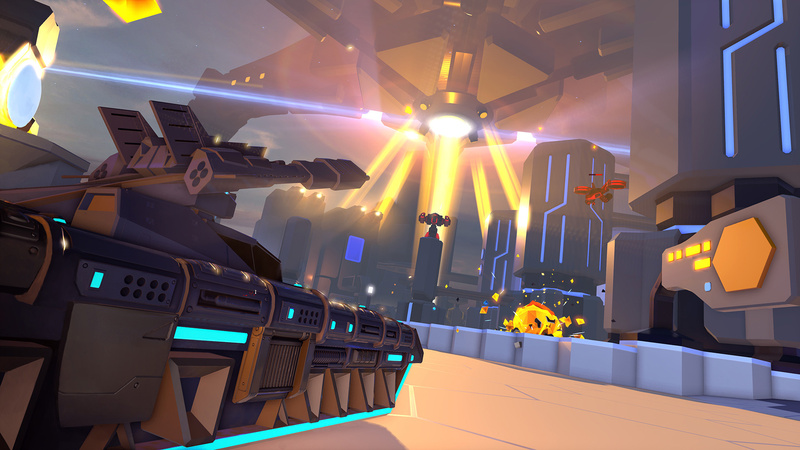 As you might expect, this tank must be used in combat, with players taking on first-person gameplay across neon-lit sci-fi landscapes. You'll be fending off legions of mechanised bots, from laser-blasting tanks to destructive mine-laying trucks and nimble airborne hoppers. 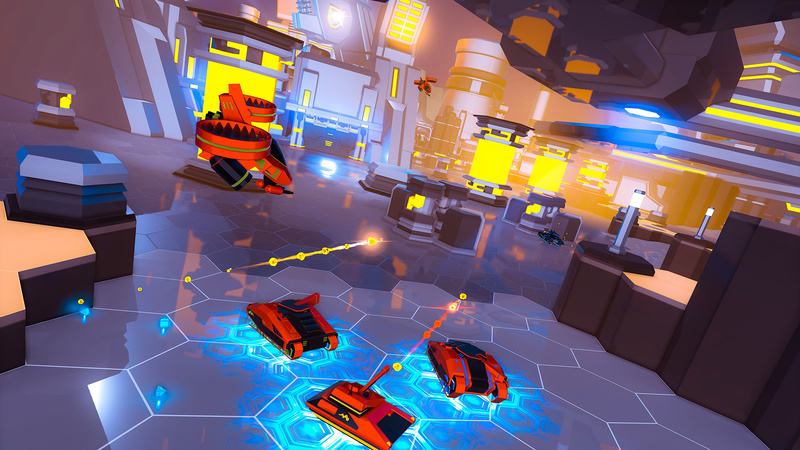 To do this, and to defend yourself from foes surrounding you at all angles, you'll need to unleash your arsenal of destructive weapons and special equipment; players have the option to customise their tank to utilise everything from laser-guided missiles to mortar cannons, as well as powerful shield boosts and EMP blasts. 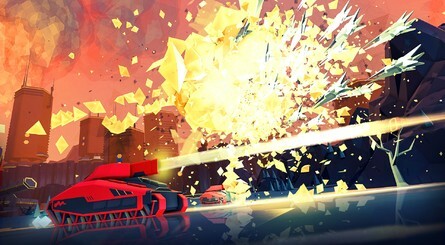 The game was actually revived last year for PlayStation VR and Oculus Rift, with the VR movement being translated to motion controls on the Switch. The game features a rogue-lite campaign that never plays the same way twice, playable in singleplayer and in the Switch's usual drop-in, drop-out co-op for up to 4 players. This Switch edition features support for both online and wireless local co-op play, and all of the content ever released for the game including bobbleheads, tank skins, and the retro-infused Classic Mode. If you decide to pre-purchase it from the eShop before launch, you can also get 15% off the full price. Will you be jumping into the cockpit? Let us know with a comment below. Looks like the TRON universe, if the price is right - im in! Amazing game in VR. Be interesting to see how the Switch version pans out. That trailer sold me. Plus, I like the studio Rebellion. Is it just me or was the guy in the video a little too excited while using motion controls? This looks pretty decent. I've always wanted a good tank game. It's rated 7/10 on Steam. One of the criticisms I just read is that all of multiplayer/online modes are co-op only, no versus mode at all. That's a shame as versus tank battles are one of the main things I'd want out of a good tank game. Still, provided the Switch port is fine I think I'll give this a go. Man, I remember playing the original, and a remake on the PC years ago. Think I'll have to keep my eye out for this one. Game is really fun in VR, I'm sure it'll play amazing on the switch too! Love this game in VR! The sense of scale is truly amazing. 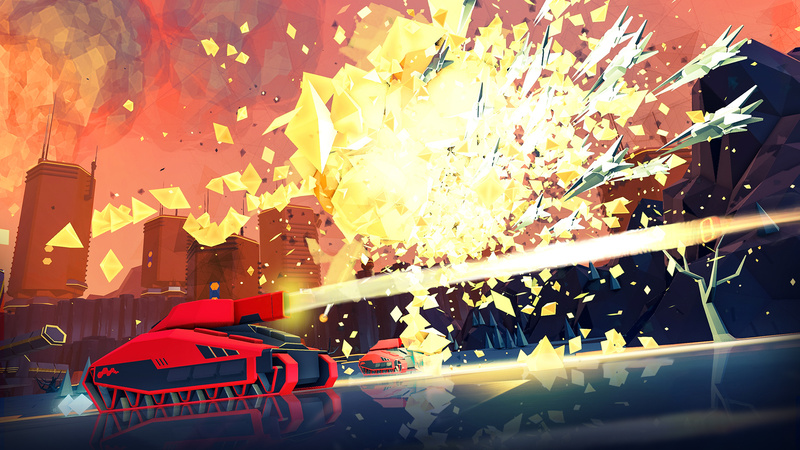 The 2D version is still fun, but it’s not as epic in comparison. This looks amazing. I love the low-poly and flat textures aesthetic, and I remember having a similar game on the SNES years ago. It wasn't Battletank, it had a more pre-rendered neon-sci-fi visual style. I wish I could remember the name of it. @Painkiller_Mike You'd be excited, too, if a game fired ACTUAL CANNON SHELLS back at your couch! Intriguing... looks like what I wanted from Tank Troopers but didn't really get. this looks really fun! loved the original to death. classic mode!! Local coop is kinda wasted without splitscreen... I don't have the money to buy 4 consoles nor the friends willing to all buy this game. About time, didn’t they say it was supposed to be out during the summer? Speaking of Battle Zone. Whoever owns Atari now, needs to make an Atari arcade collection on the Switch, including the original Battle Zone. @SepticLemon Good news: Atari (whatever that means these days)is releasing the "Flashback Collection" for Switch. This collection will have150 arcade and console games. This looks fun! Kind of like Sky Rogue, which is nothing deep, but it's fun to play in short bursts, and this one looks like it will be--wait... $30??? Had this on PSVR - It’s pure joy. Going to purchase again!